City hit back after their disappointing league defeat on Friday, shocking Sligo in the Showgrounds to advance to the EA Sports Cup Final. A much depleted City defence were forced to put together a makeshift starting eleven, with a host of U-19s filling the bench for Kenny Shiels’ side. 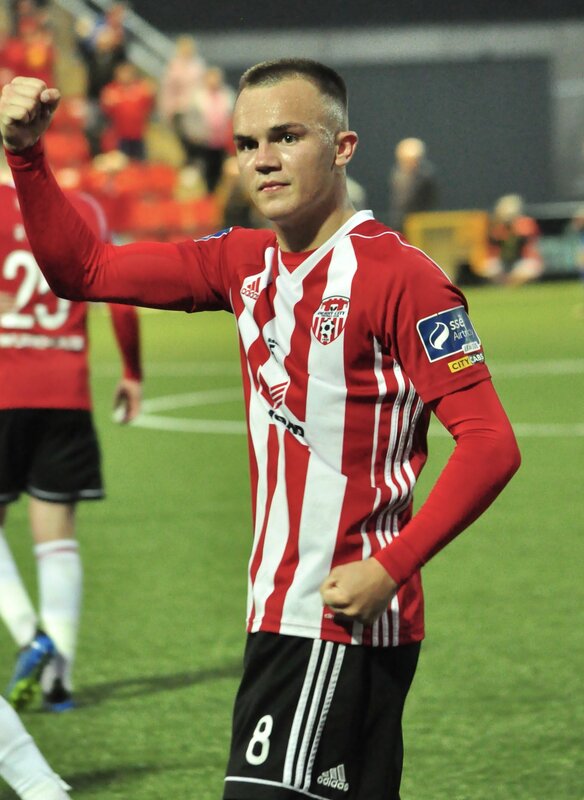 The home side were much more settled, with just one changed after their impressive victory in the Brandywell on Friday, with Twardek replacing Keaney who picked up a knock in that game. City had a reshuffled back line, with Ben Doherty returning to the starting eleven and Kevin McHattie moving in field to partner Dan Seaborne at the heart of the defence. It was a nervy affair with the home side shading the early encounters, and forcing the best opening chance. Twardek beat Ben Doherty at the by line and squared to Morrison but he somewhat fluffed his shot just six yards out from goal. City were sitting deep and hitting the visitors and the break and this was what caused the match winner. Aaron Splaine picked the ball up from a Sligo corner and his ball down the channel found Ronan Hale midway inside the Sligo half. The forward did well to hold the ball up and square it to his brother Rory, who took a touch and opened up a bit of space. Hale then fizzed a shot the top corner beating Beeney all ends up to break the deadlock. Morrison had the next chance from Sligo but he put an effort badly wide when set up by Drennan inside the box on 33 minutes. Drennan forced Doherty into his first save of note just before the break when a soft free kick saw Donelon whip an inviting ball into. Drennan stooped and headed goalwards, but Doherty pushed it over the top. City best chance saw Cawley brilliantly block Shiels when it seemed the Derry midfielder was about to pull the trigger inside the six yard box. In the second half the home side ratched up the pressure but they found Doherty in inspired form. He pawed away a Cretaro effort at full stretch. Hale tested Beeney from distance but the visitors were very much playing off scraps in the second half as the home side tried to get back into the game. As the game closed, City players began to try as they repelled wave after wave of Sligo attack. Cretaro volleyed into the ground and over the bar. However the City captain was to have one final say as he somehow denied Cretaro from point blank range in the 88th minute to make sure City would reach their first cup final in four years.